AHB’s biorefinery siting models identifed southwest Washington (Fig. 1) as a good location for a poplar-based bioproducts industry. 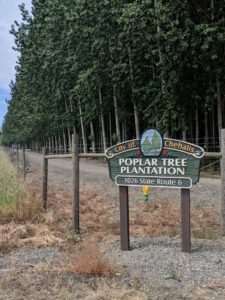 The greater Lewis County region has suitable land-use, crop prices, poplar growth conditions, and other factors in favor of poplar farming. 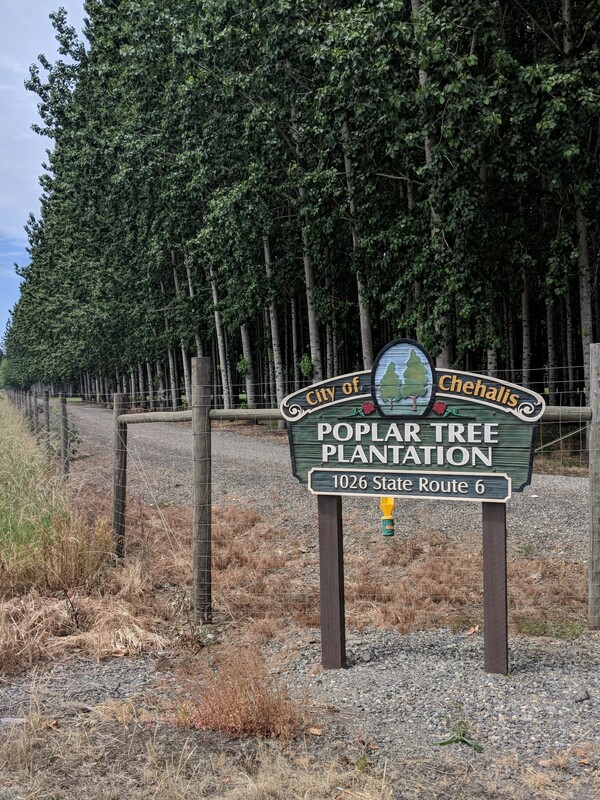 AHB researchers explored the feasibility of a hypothetical biorefinery in Centralia, WA supplied by poplar grown within 100 km (62 mi) of the site. A moderate-size biorefinery (250,000 dry tons of biomass/year) would need 34,500 acres of poplar farms (equivalent to about 25% of existing pasture land). The region has additional characteristics that make a poplar bioindustry particularly suitable. Figure 1. 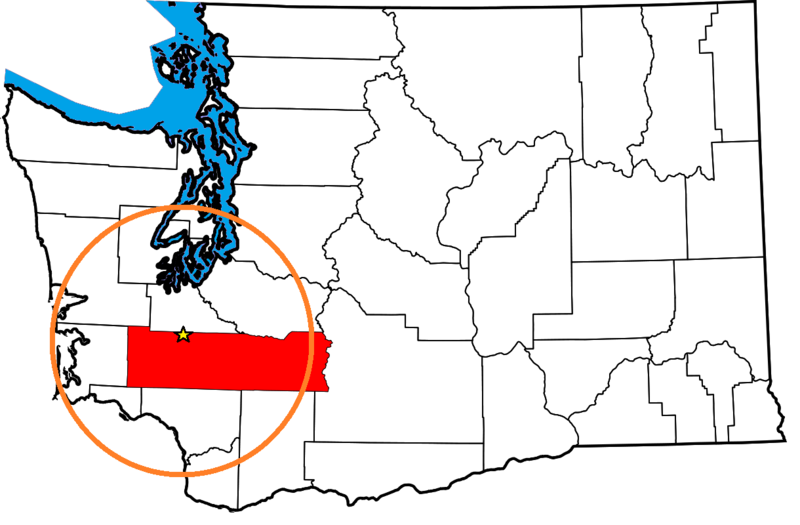 Southwest Washington study region (orange circle), which is the area within 100km of Centralia (star) in Lewis County (red). Figure 2. The Chehalis Wastewater Treatment Facility irrigates a poplar plantation when there are low flows in the Chehalis River.